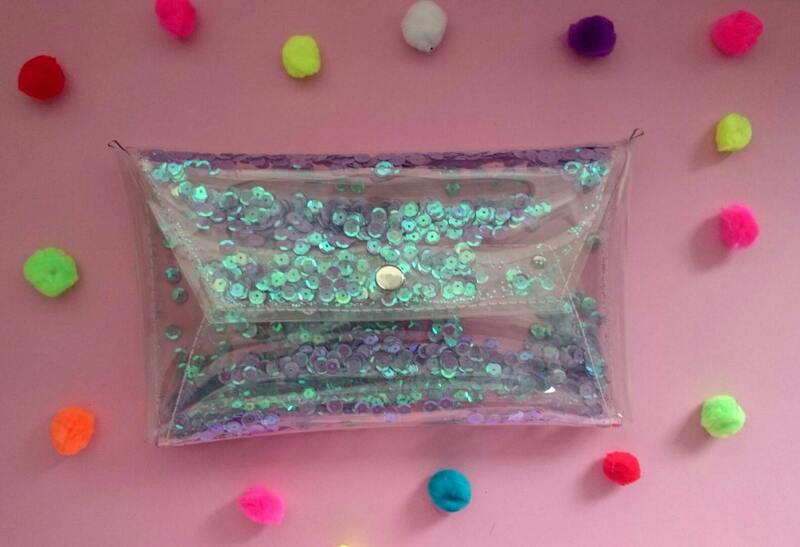 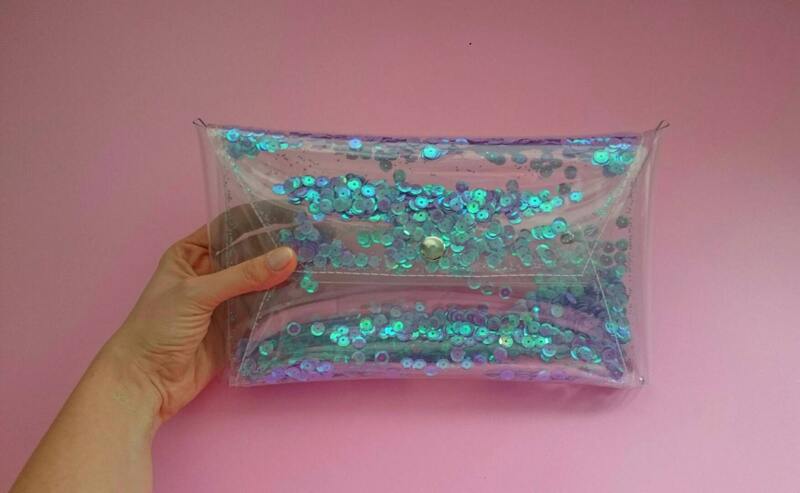 Ready to Ship amazing iridescent modern, uniqe and only one transparent envelope 90s bag with holographics sequins, violet, purple bag, amazing sparkle green-blue. 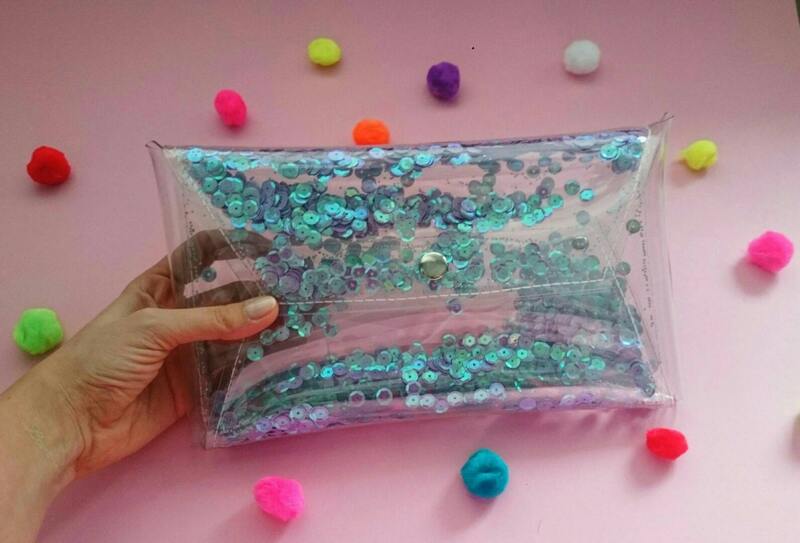 This adorable bag is made beautifull transparent, high quality , recycling, resistant and waterproof PVC. 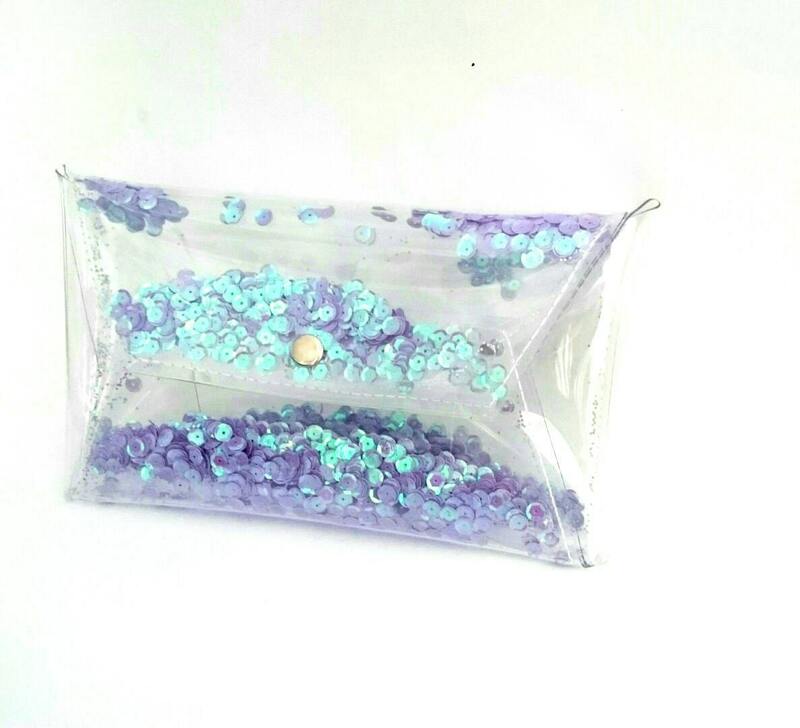 Unique and modern, perfect for making the difference.